MindCare Dementia Support offers dementia skills training, coaching and consultancy for care professionals, care providers across London and nationally. MindCare training, coaching and consultancy are based on more than 25 years of experience providing specialist person centred dementia care in the London Borough of Bromley. 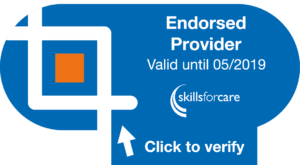 MindCare Dementia Support (part of Bromley, Lewisham & Greenwich Mind) is endorsed as a provider of dementia training by Skills for Care. create more positive, dementia friendly environments for everyone. MindCare coaching and consultancy service helps put dementia skills and learning into practice in your organisation. It can be booked in conjunction with a dementia skills training package or separately to support individual case management. creation of dementia friendly environments.